So you are looking to start a design project? Awesome! 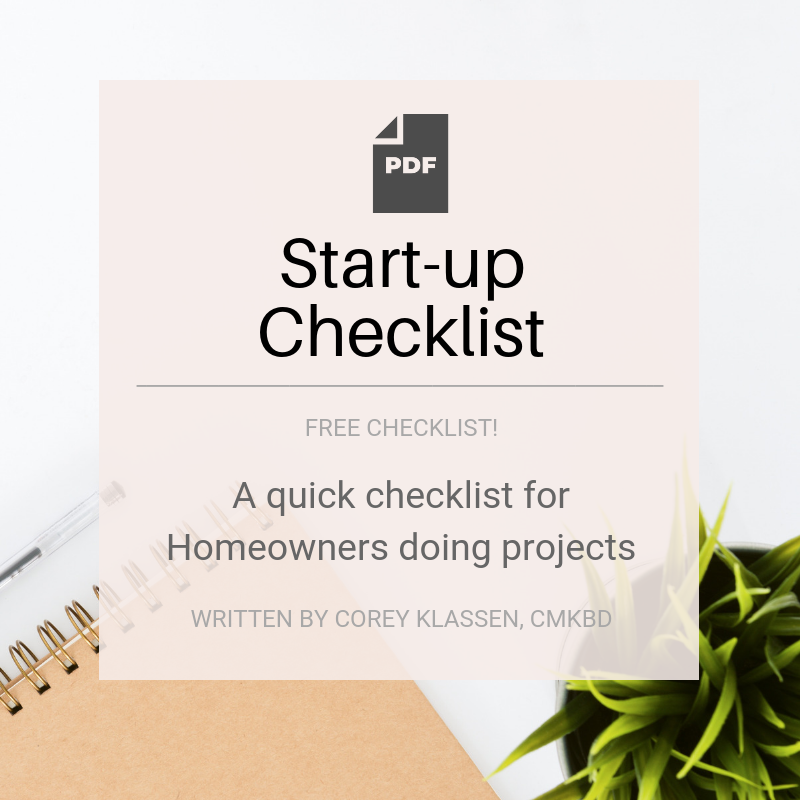 This ​Start-up Checklist ​is a tool to help you do just that. This checklist covers the basic information on preparing you for an upcoming project. This is basic-level of gathering of essential information for your design professional to develop their “design program” and build your dream spaces. Price includes of 5% G.S.T. You are a homeowner looking to understand the potential needs of a design project. You want to prepare for a design project but do not know where to begin. You want to get all your ducks in a row before you meet with us. You are dedicated to actually use the forms for your design project. In an industry where "free" design advice is solicited by retailers in-store with commission incentives, the sales associates do not focus on your needs. Online advertising, reality television networks, news segments, and bloggers without experience seem to “expertly” dish out recommendations that are catchy and appealing. We are experts with boots-on-the-ground experience providing you with tangible, practical, and realistic solutions that align to your personal goals. Our eBooks uncover the true conversations about design and build projects focusing on style, function, budget, and timeline. When purchasing a eBook from us, you are receiving our professional opinion and/or recommendation that is based our experiences as professional interior designers. All eBooks are self-published by Corey Klassen, CMKBD and only licensed for personal use in a residential project.